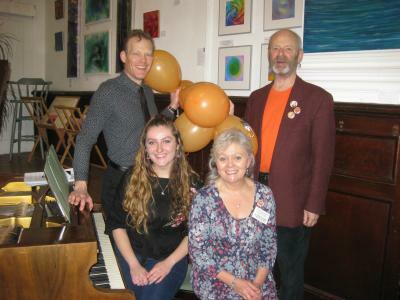 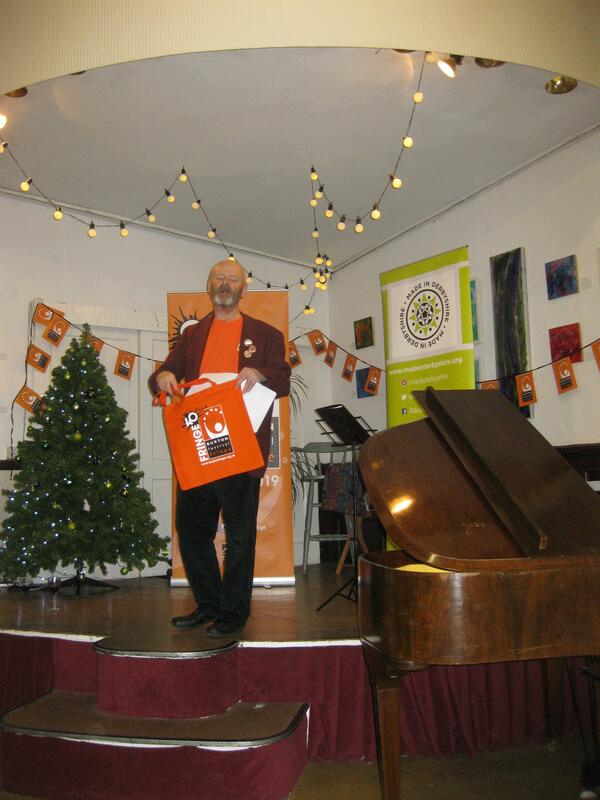 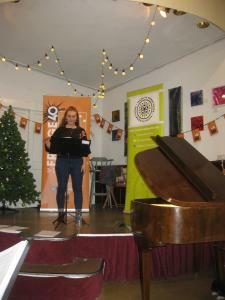 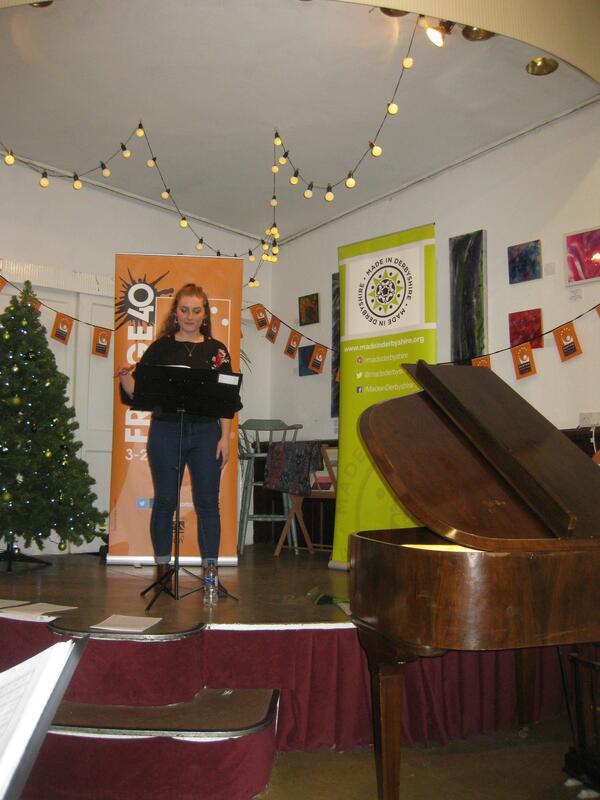 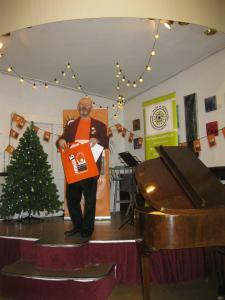 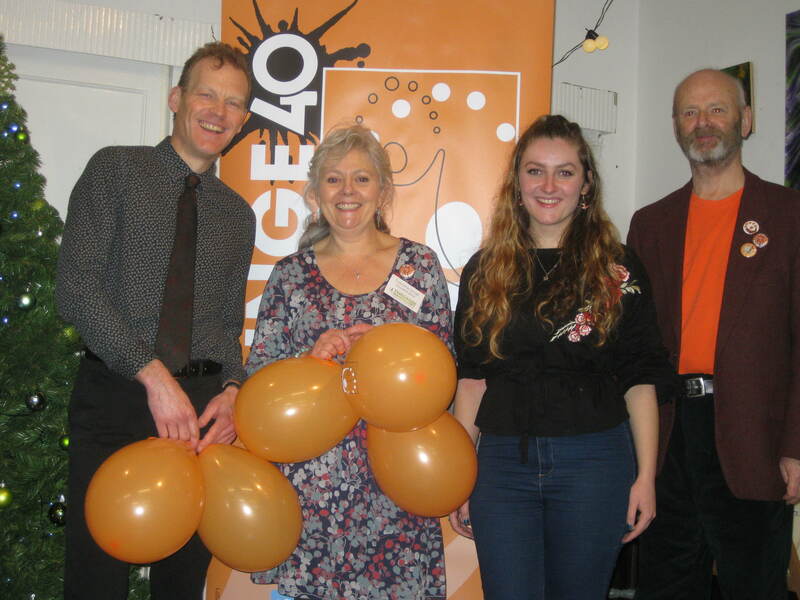 We had a great time at our Christmas festivities at the Green Man Gallery on December 1st, marking the exciting first day of entries to our 40th Fringe in 2019. 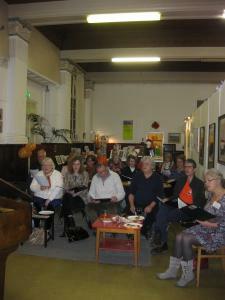 Thanks to Tim and Rebecca Mottershead, the Green Man Gallery and everyone who came and sang with us! 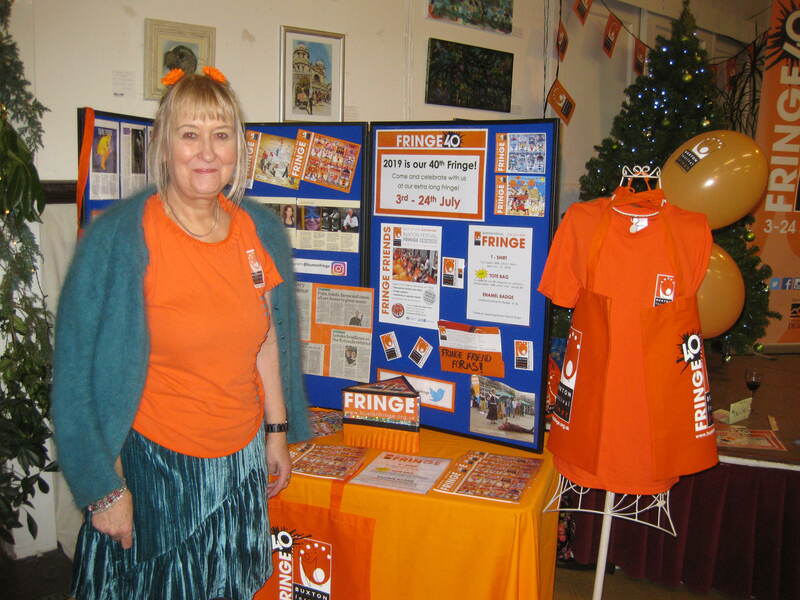 Pictures by Fringe Marketing Officer Stephanie Billen. 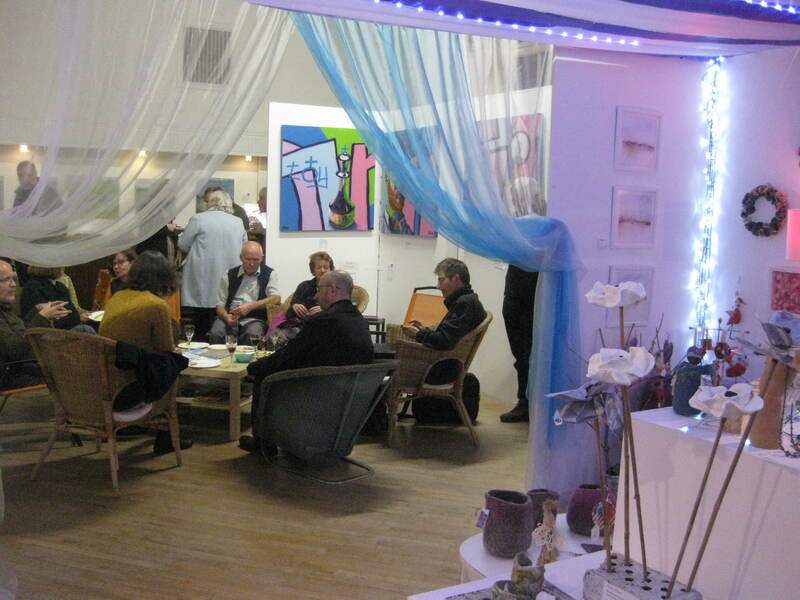 The Green Man's Winter Emporium makes a magical setting for pre-singing food and drink. 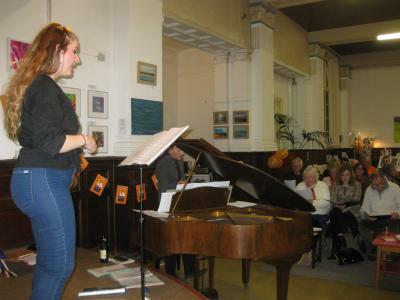 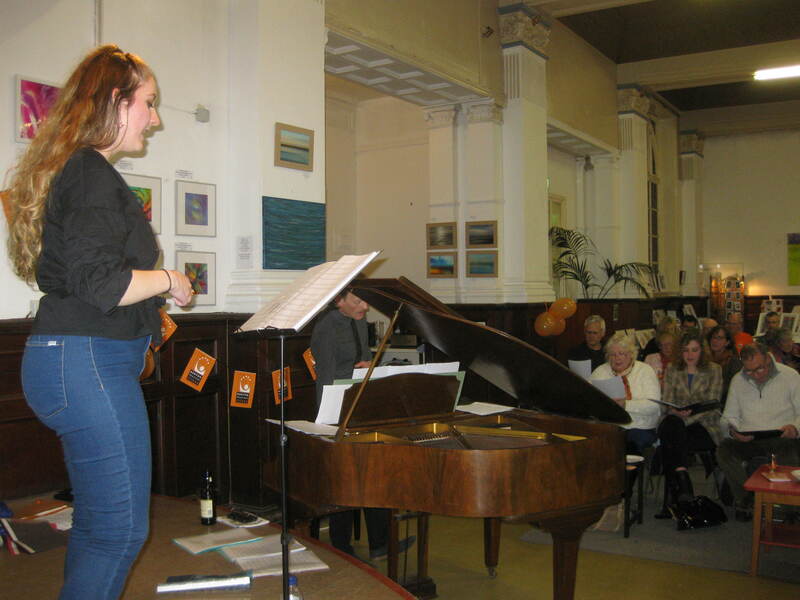 Rebecca Mottershead rallies the singers. 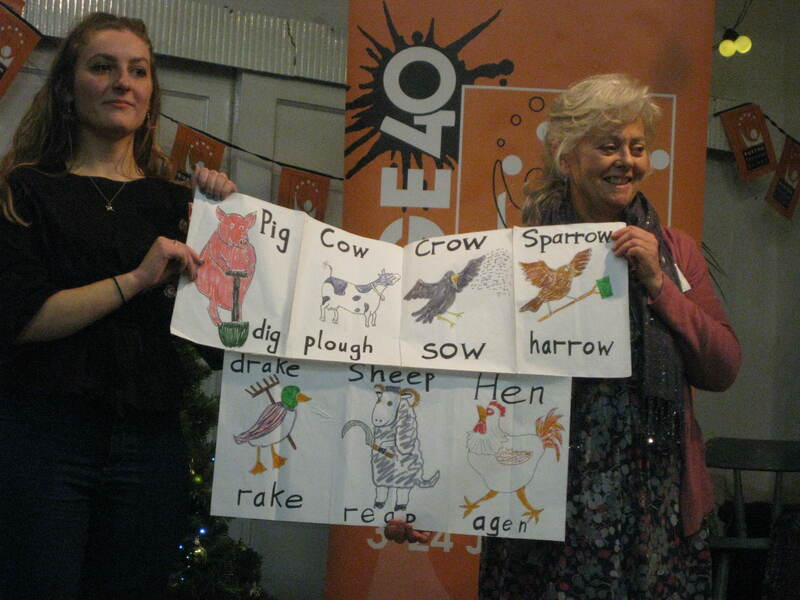 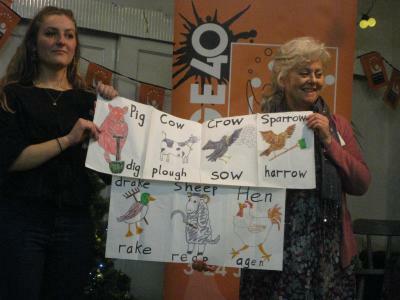 A great Christmas party rounds off with a delightful animal song with useful visual prompts displayed by Rebecca Mottershead and Caroline Small.